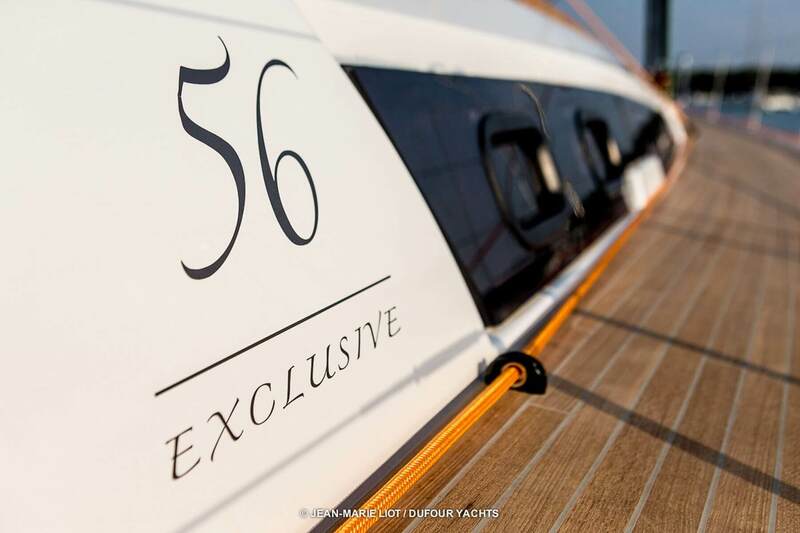 The flagship of the new Exclusive range, the Dufour Exclusive 56 is synonymous with luxury and comfort and is a stunning yacht that meets the most stringent requirements. 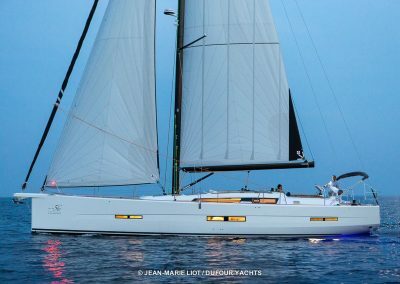 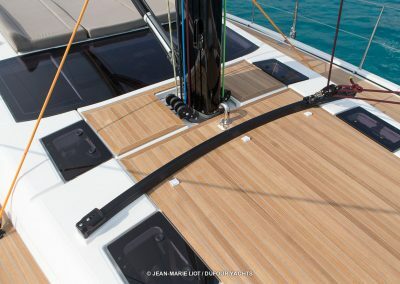 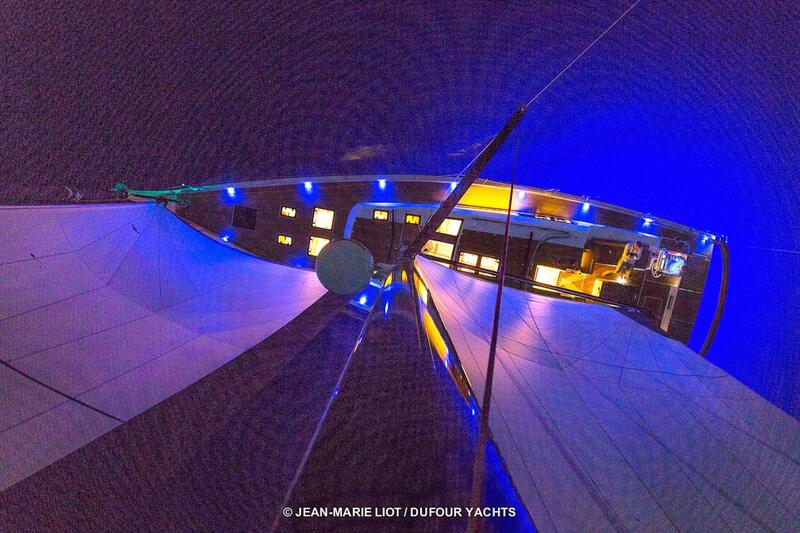 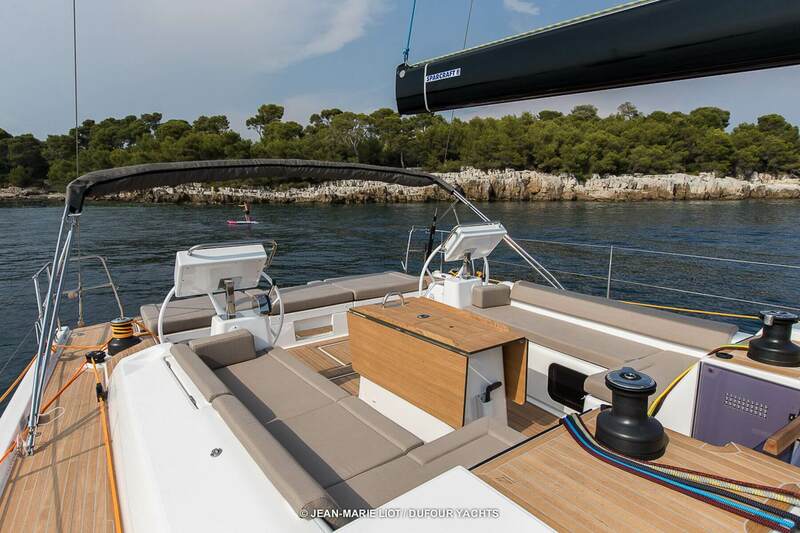 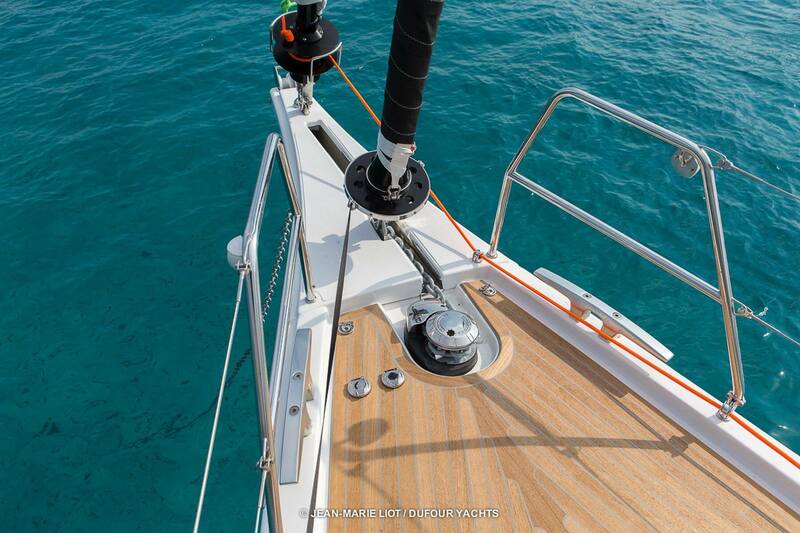 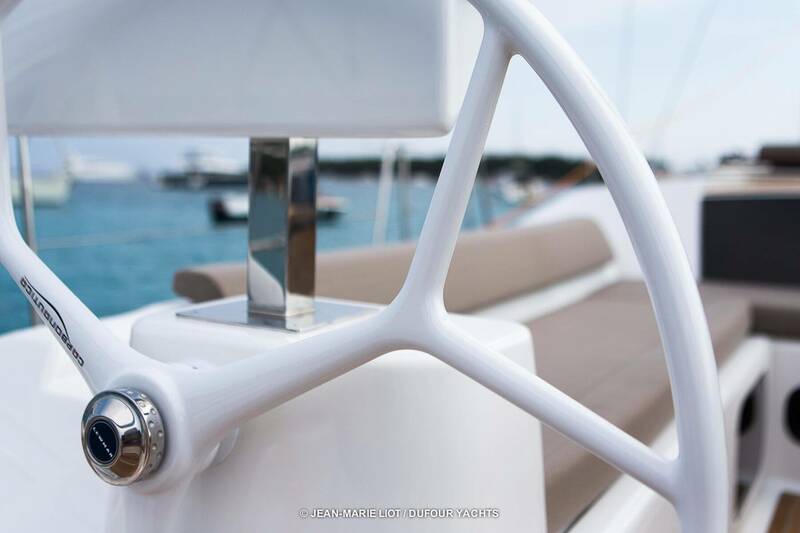 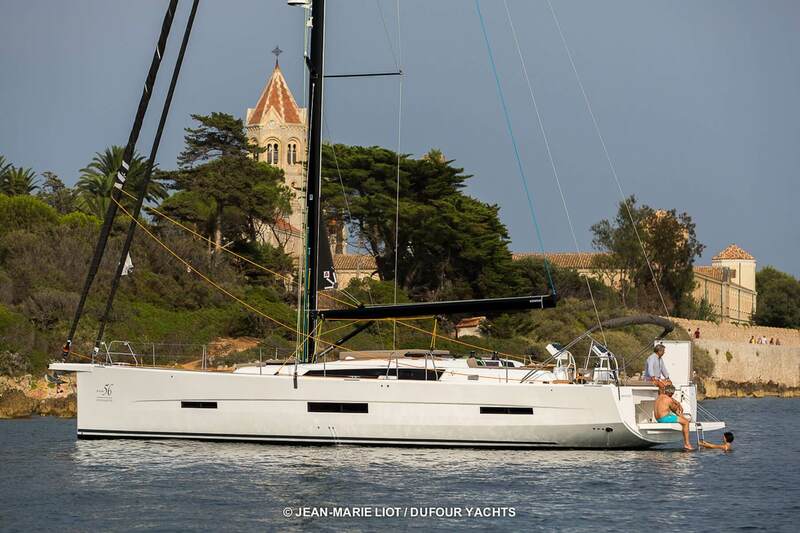 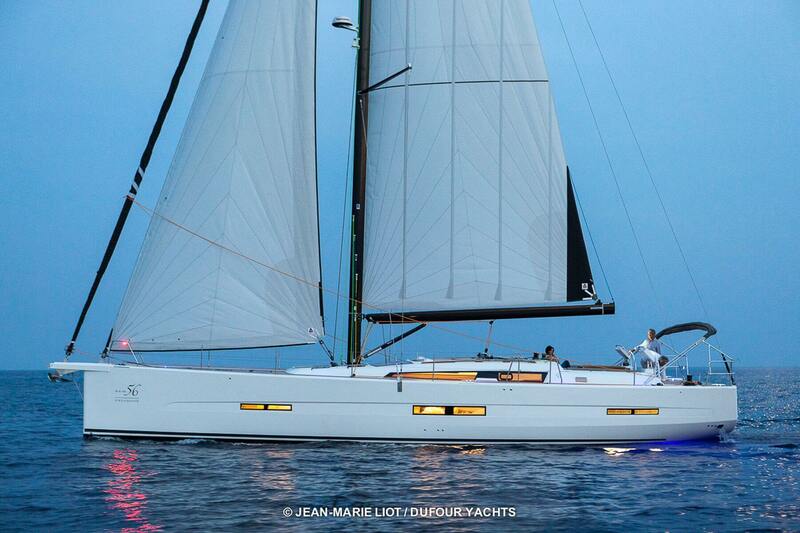 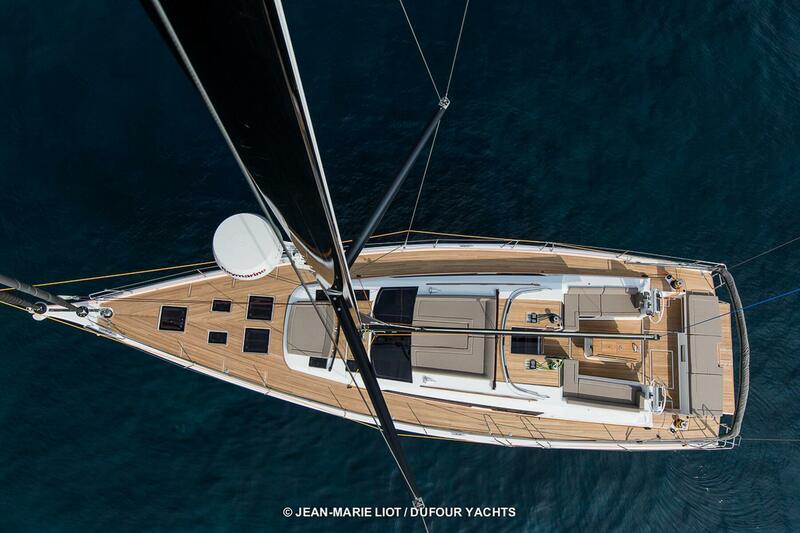 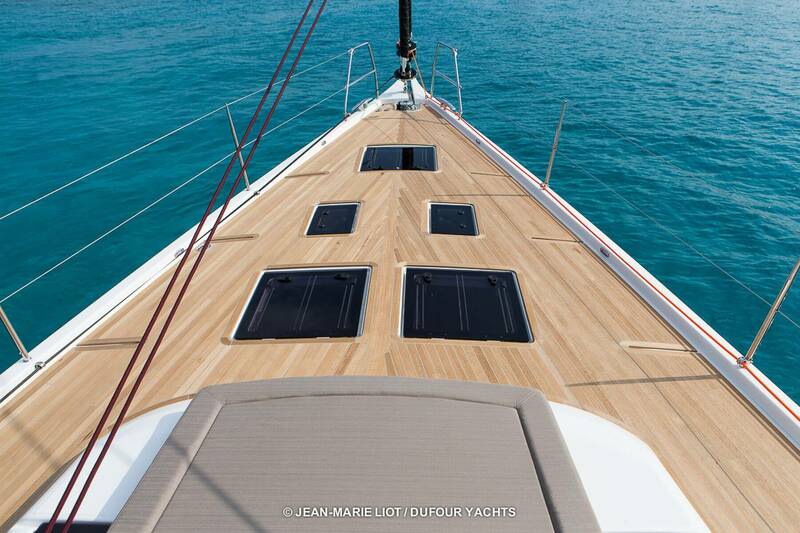 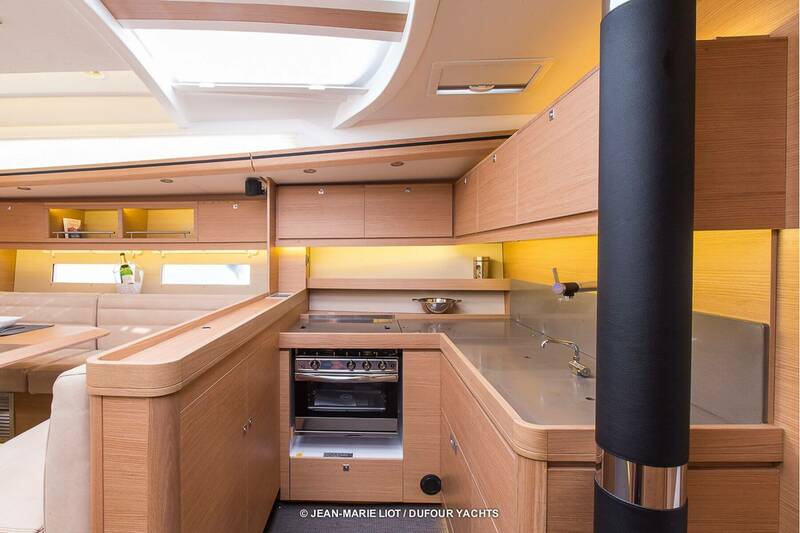 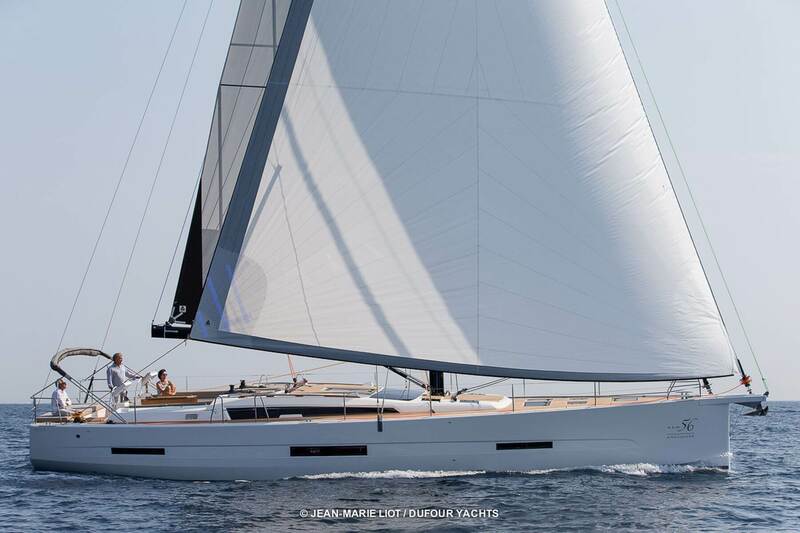 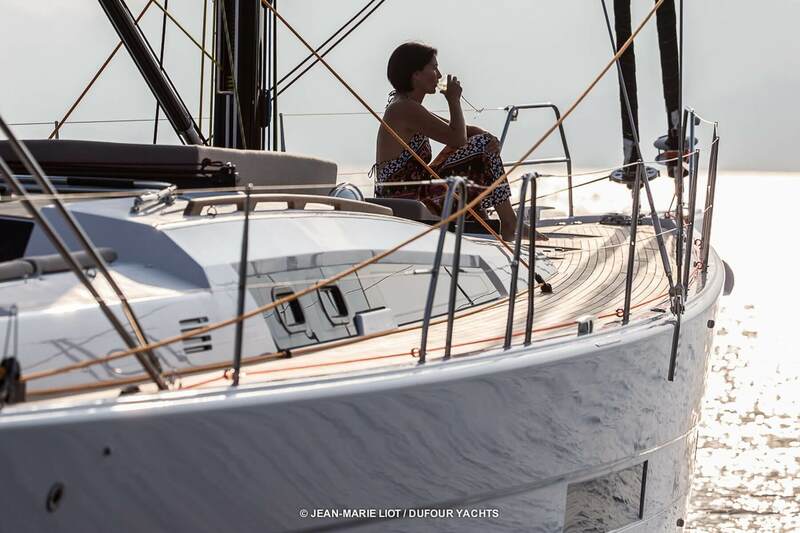 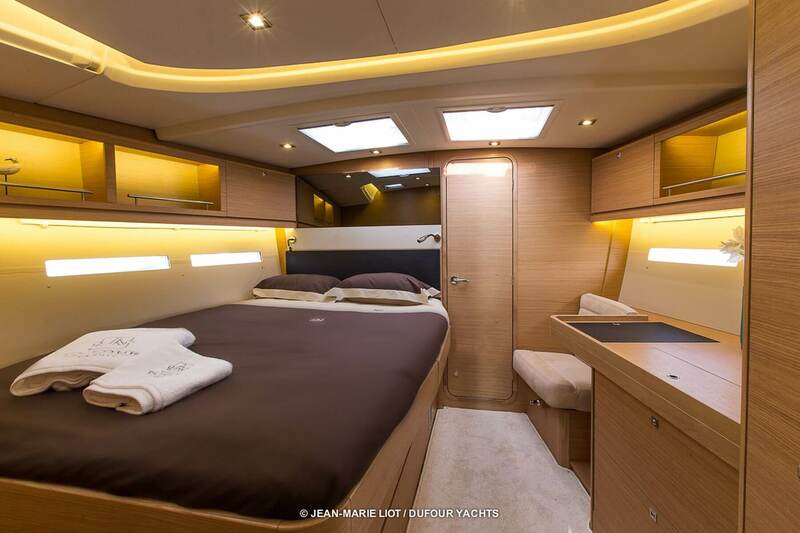 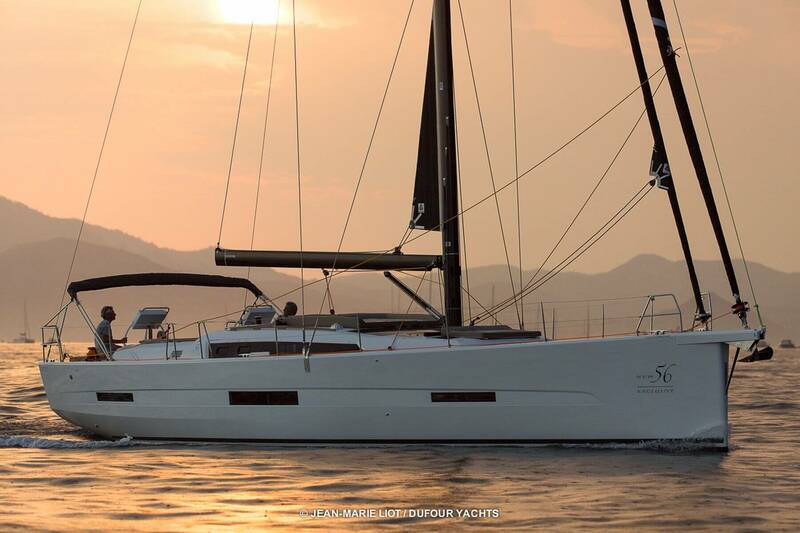 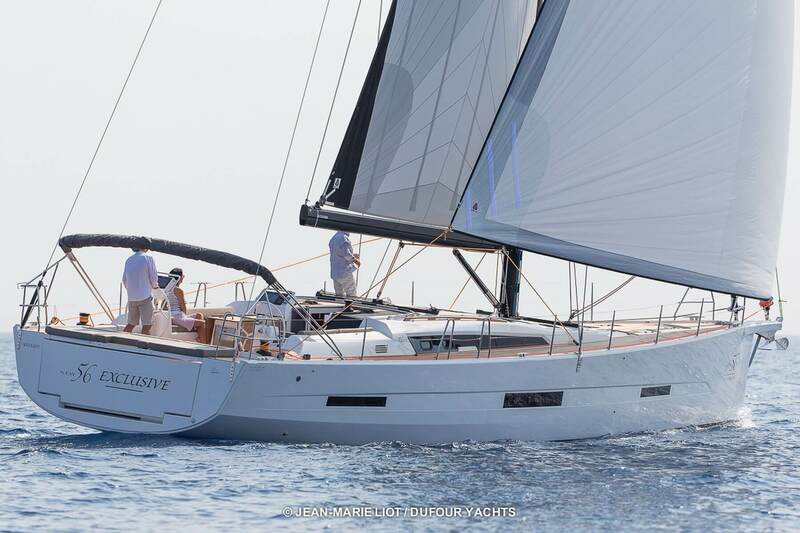 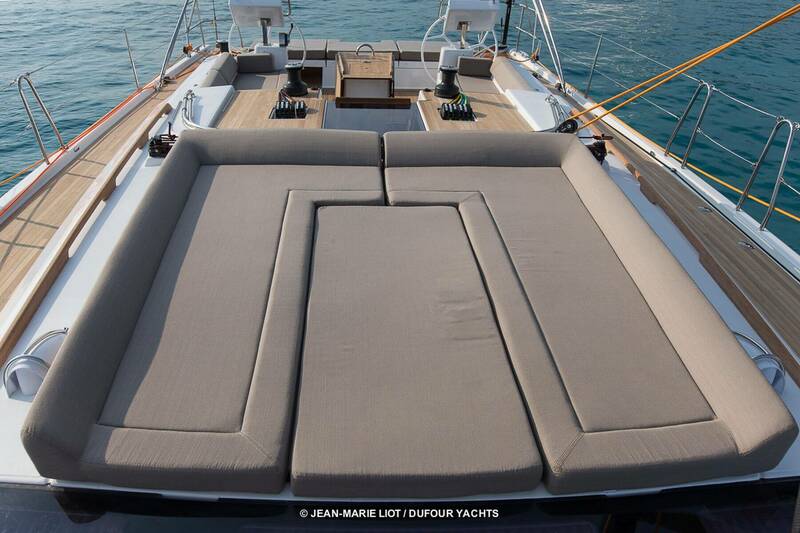 This elegant, modern 16-meter sailing yacht with its dynamic lines epitomises luxury. 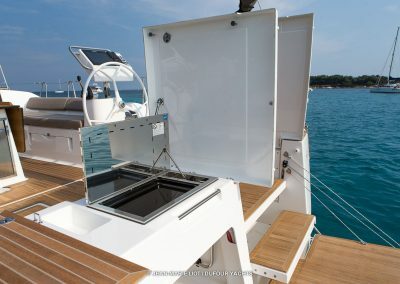 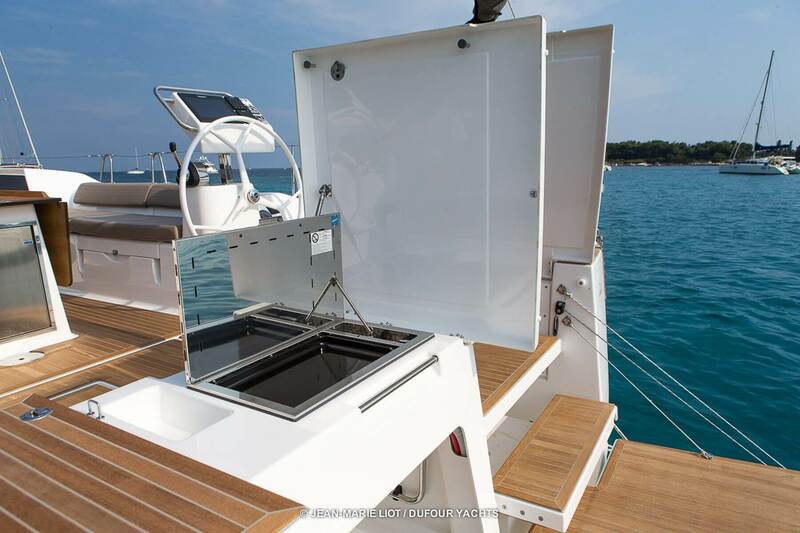 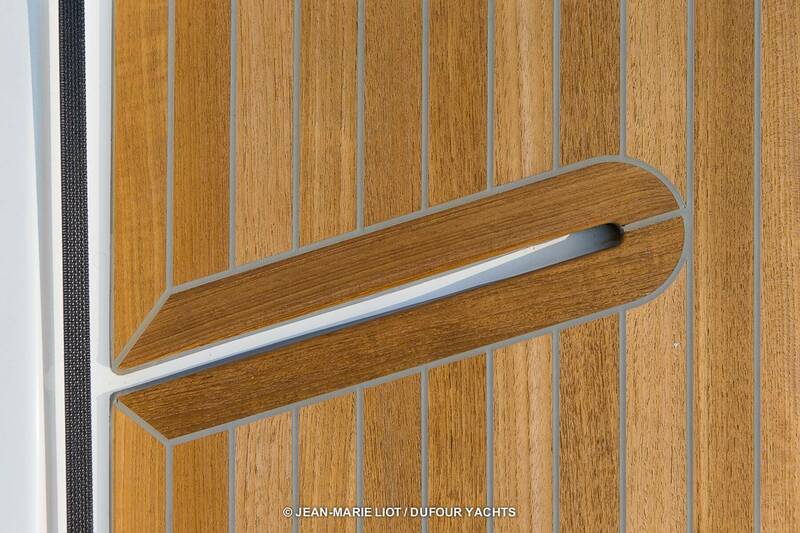 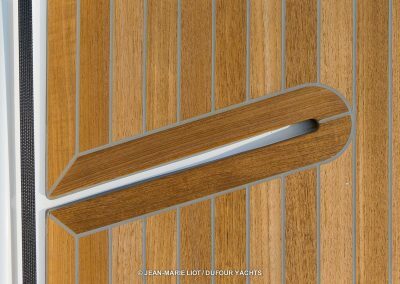 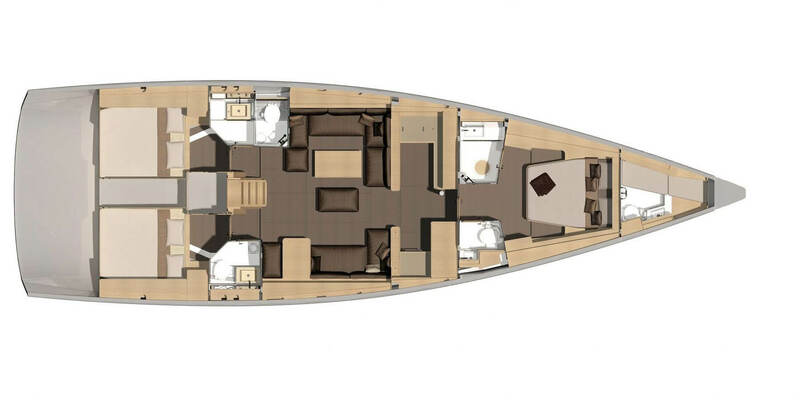 This 16-meter yacht brilliantly marries refined design with remarkable innovations. 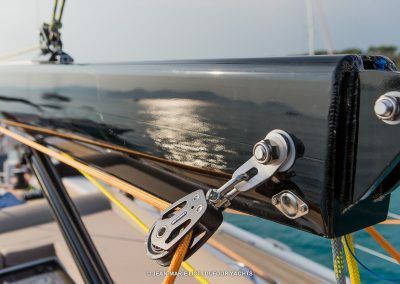 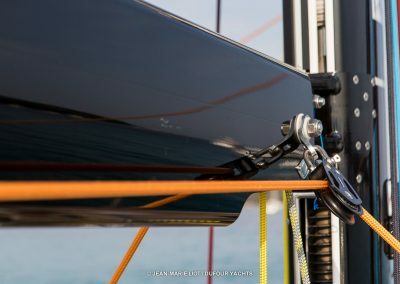 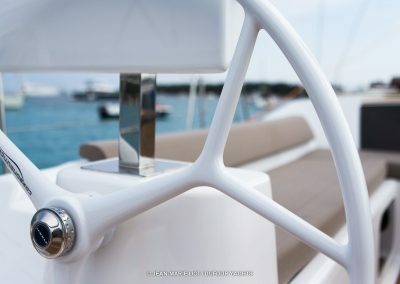 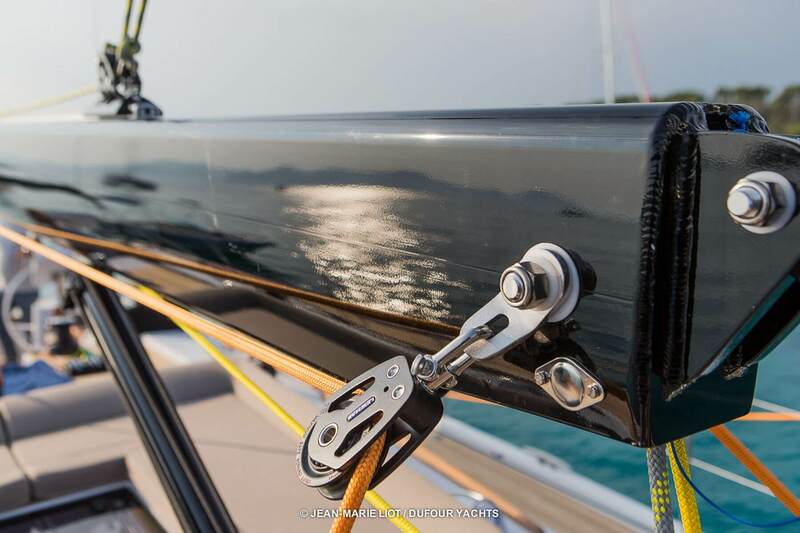 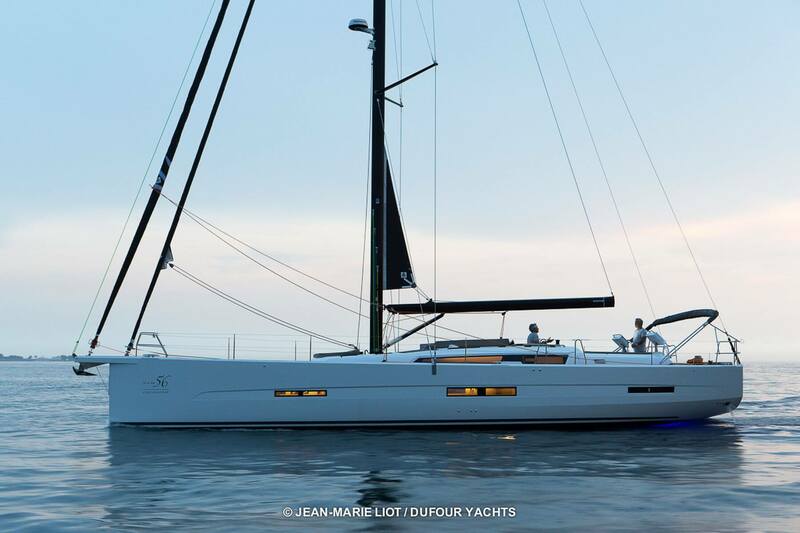 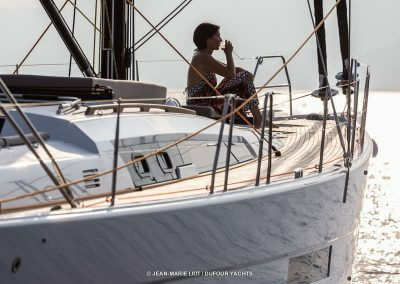 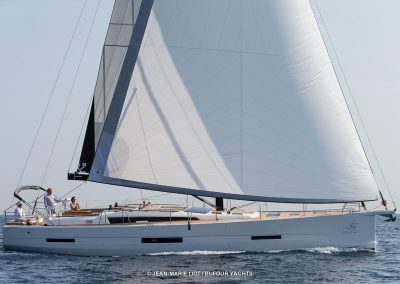 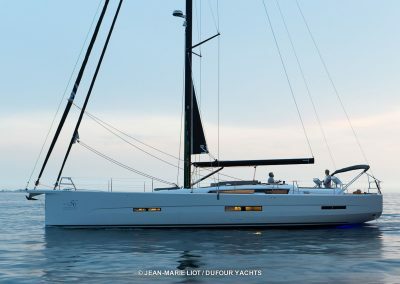 It embodies the boldness of a pioneering project that has managed to keep the essence of a powerful yacht in a sailboat designed to provide the most intense sailing emotions. 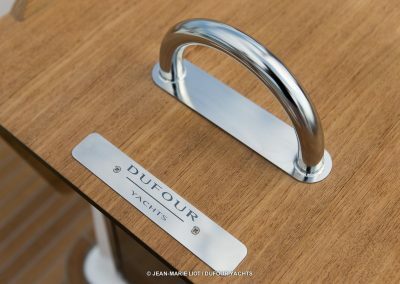 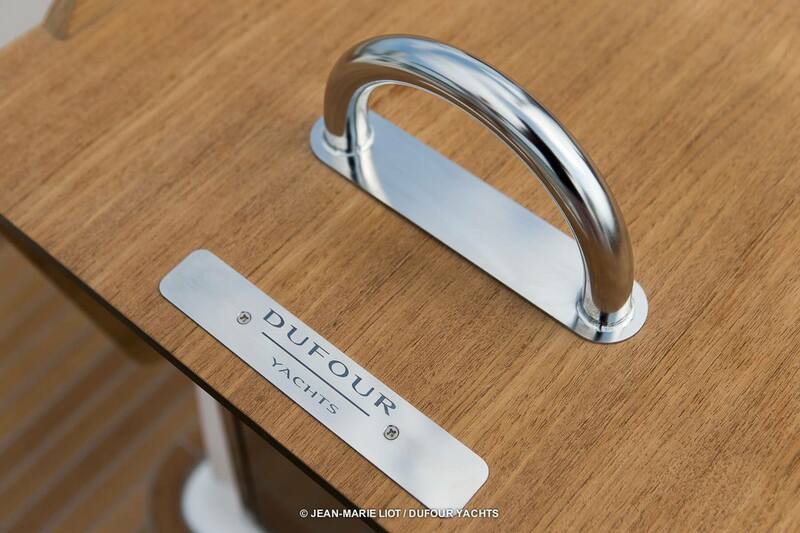 The Dufour Exclusive 56 sports an extremely balanced hull, with a powerful aft section, a reduced wetted surface area and appendages perfect for cruising. 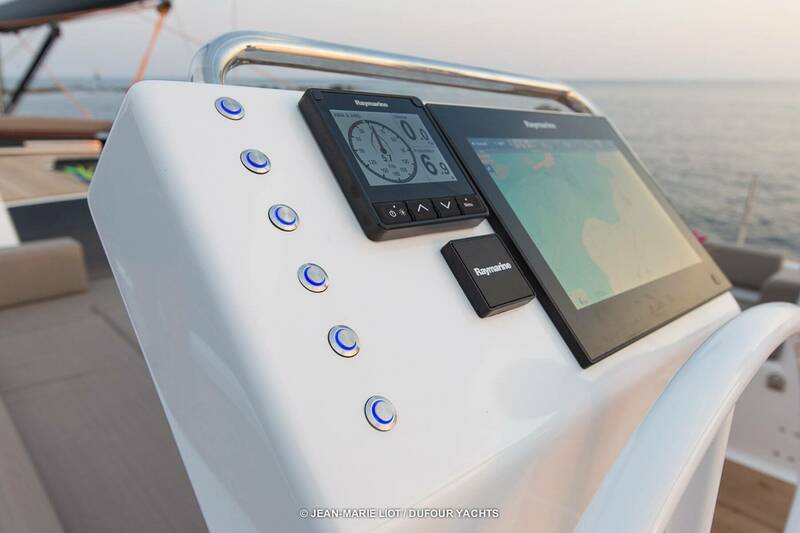 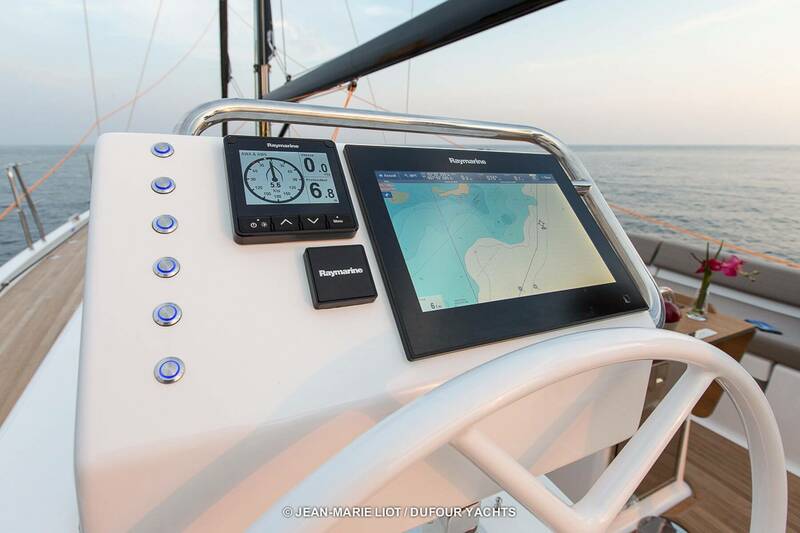 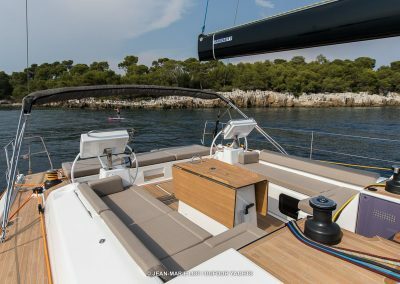 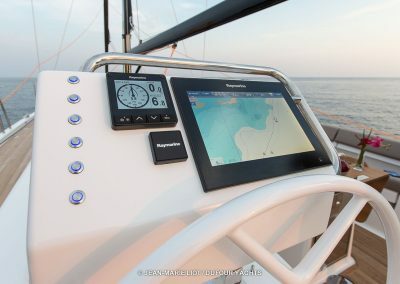 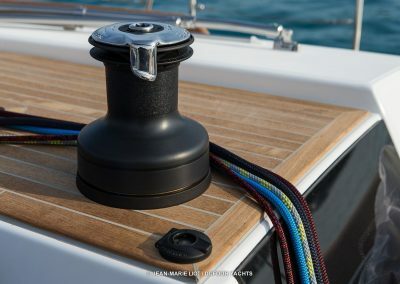 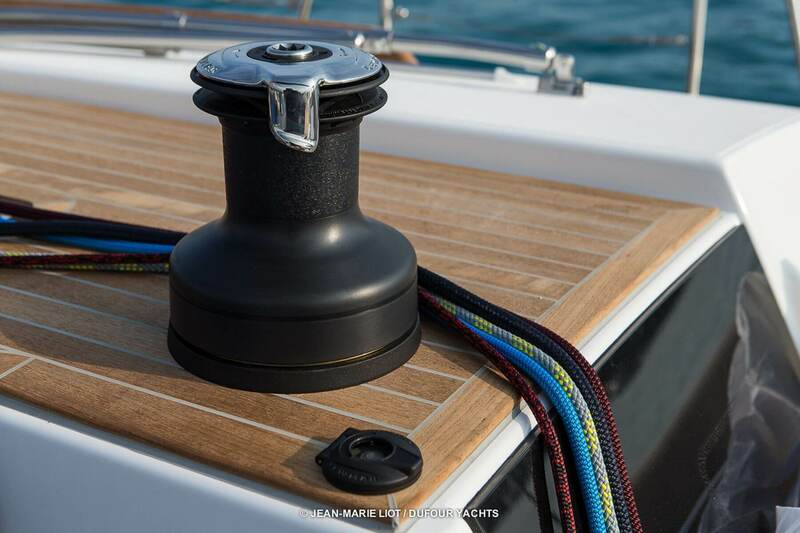 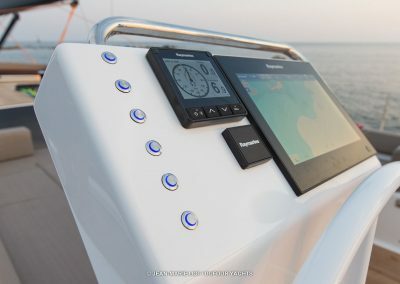 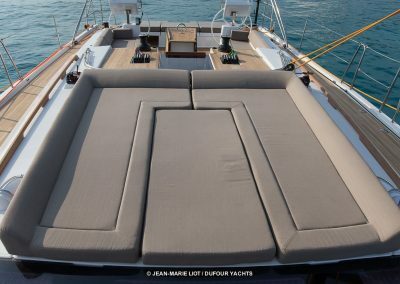 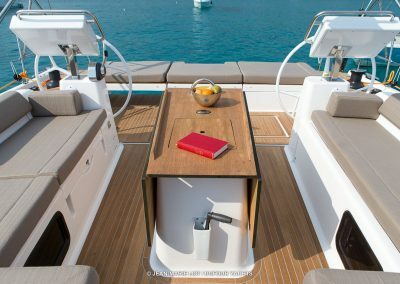 Its high ballast ratio and hull stability enable the yacht to support a powerful rig without compromising on comfort and safety on board. 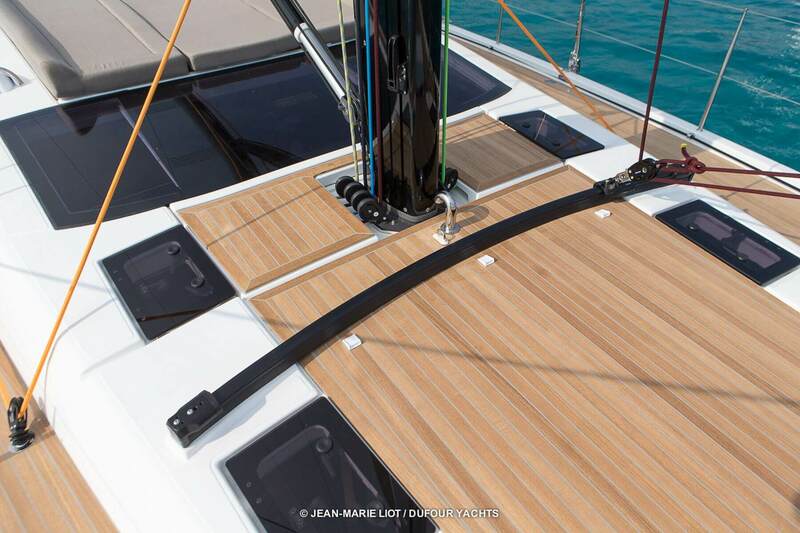 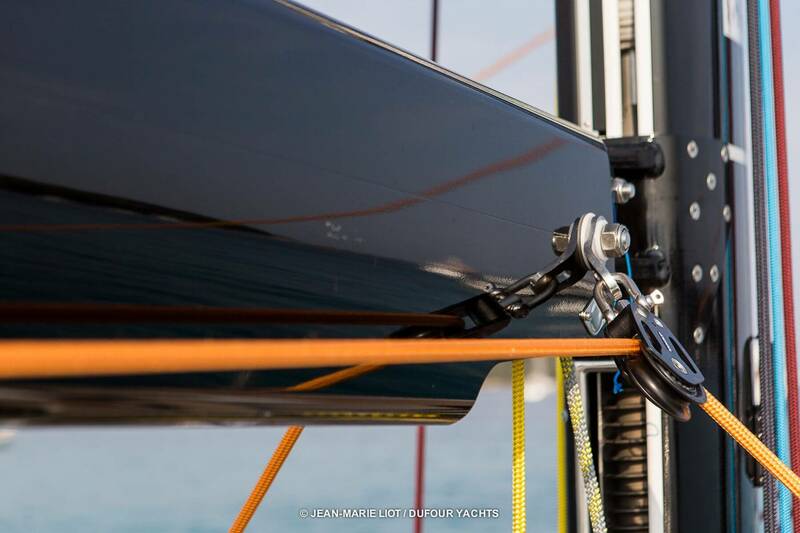 The sail plan was developed to guarantee maximum performance with minimum effort. 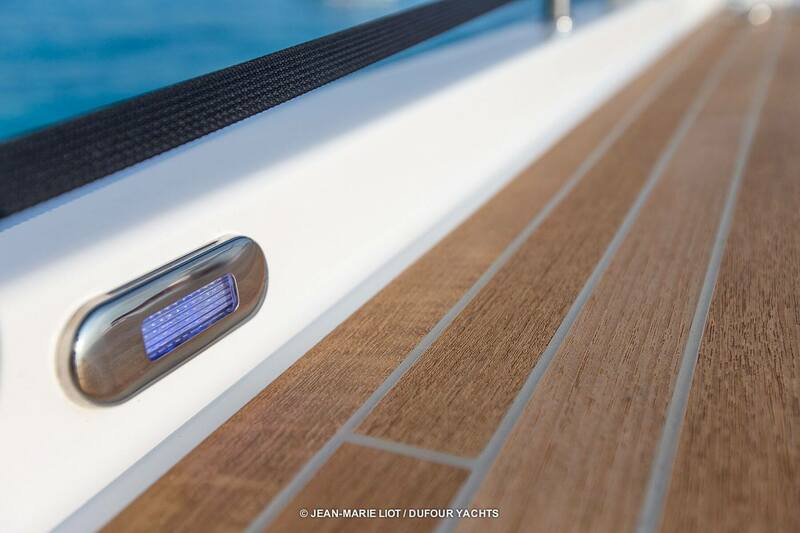 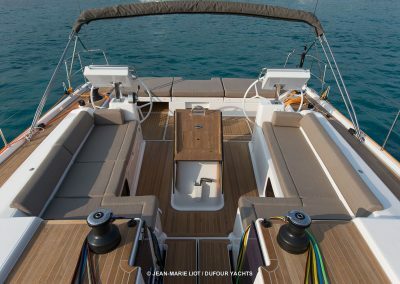 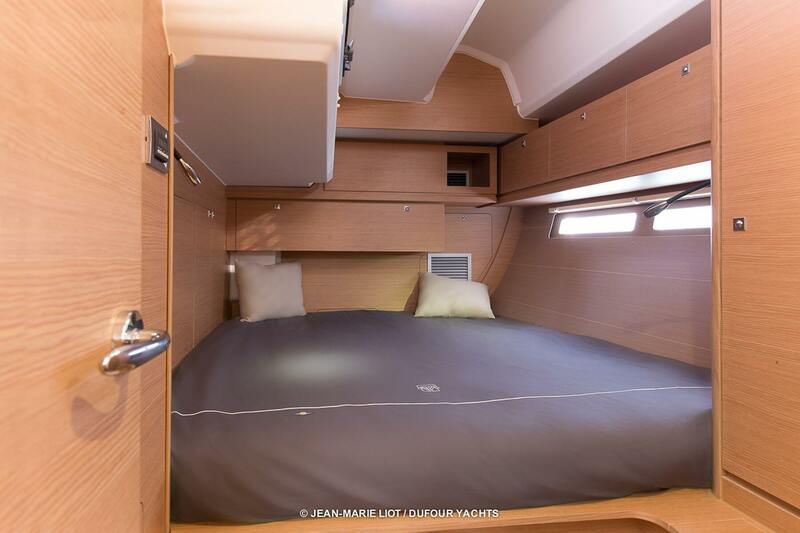 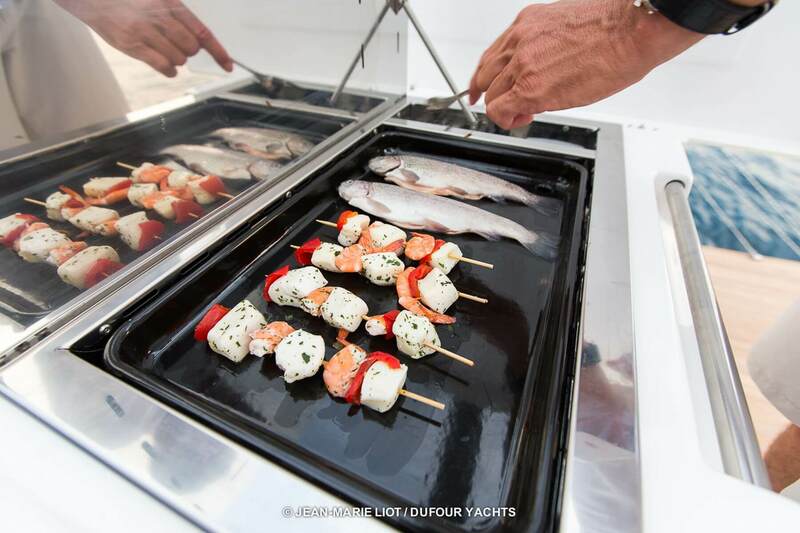 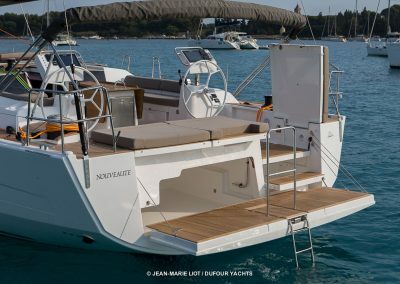 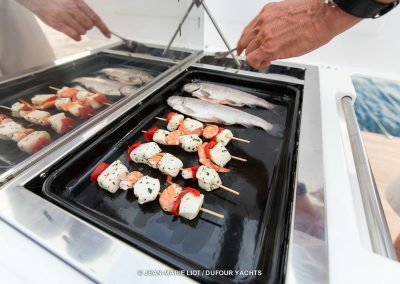 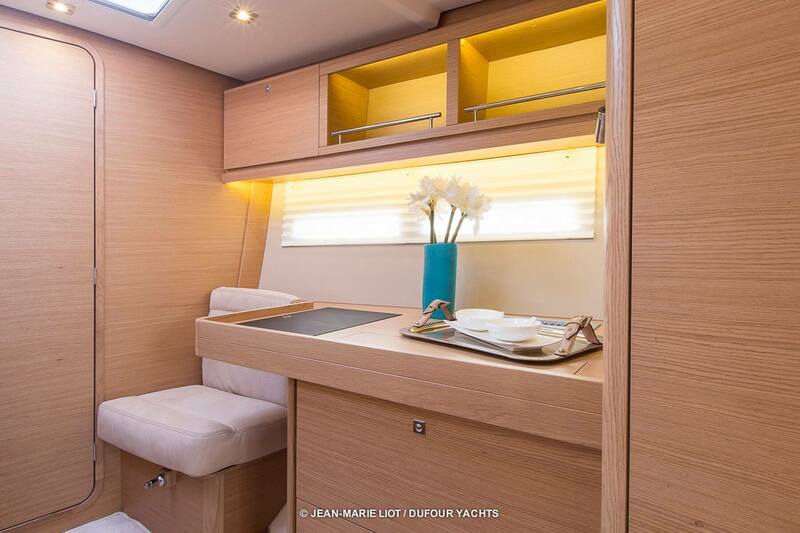 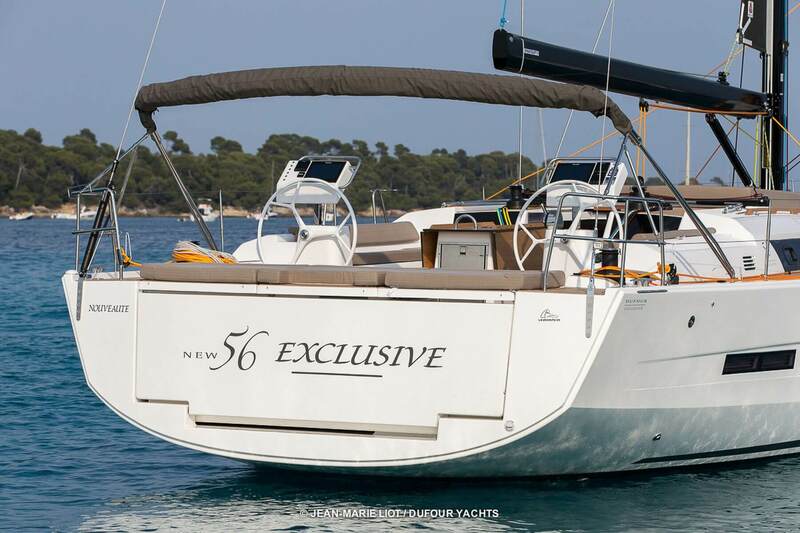 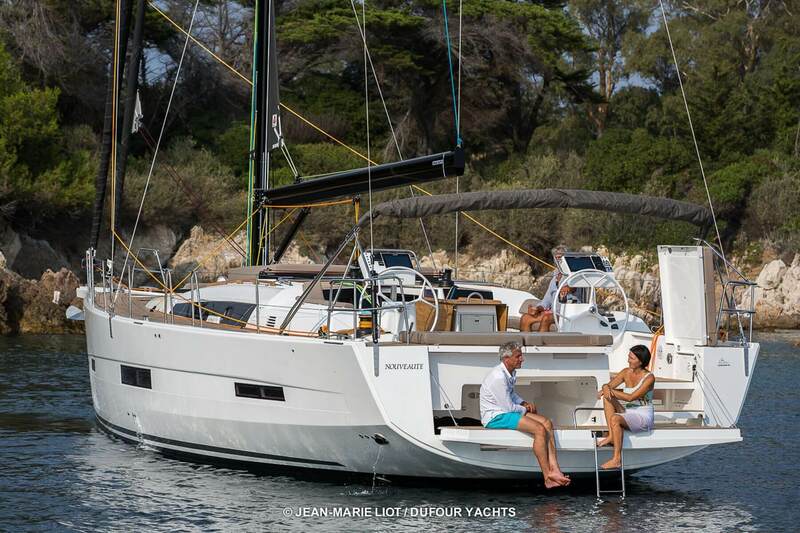 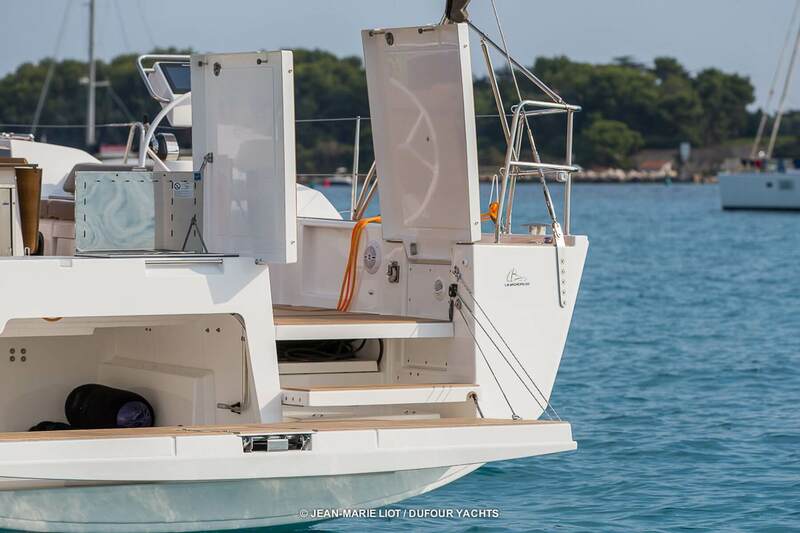 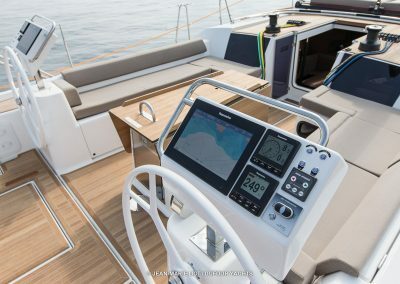 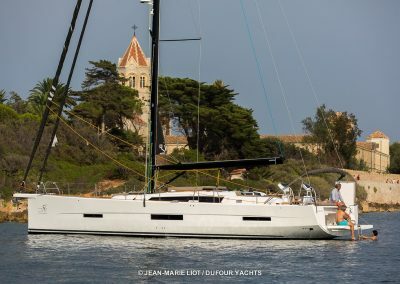 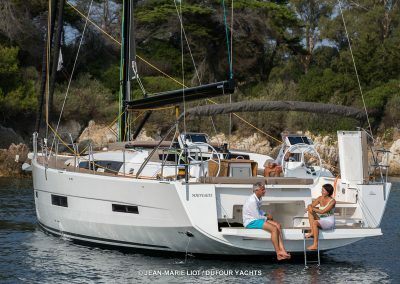 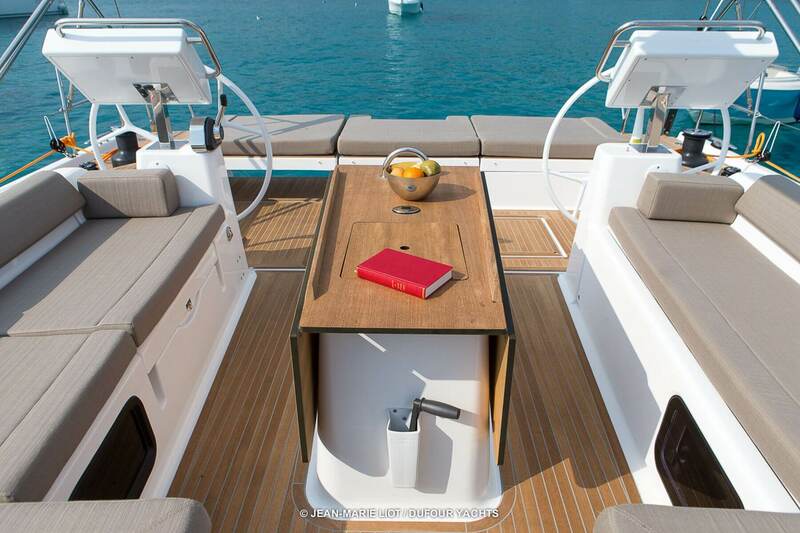 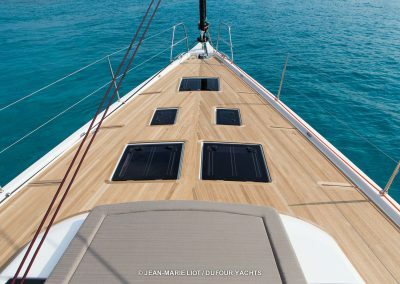 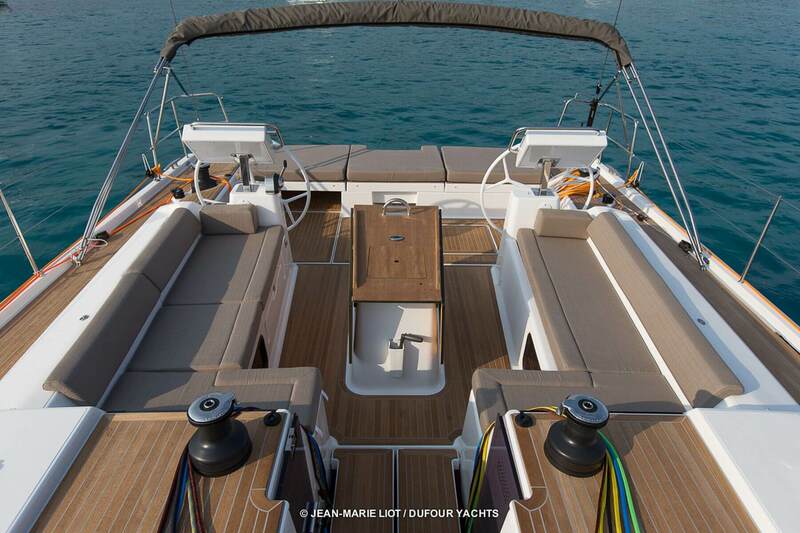 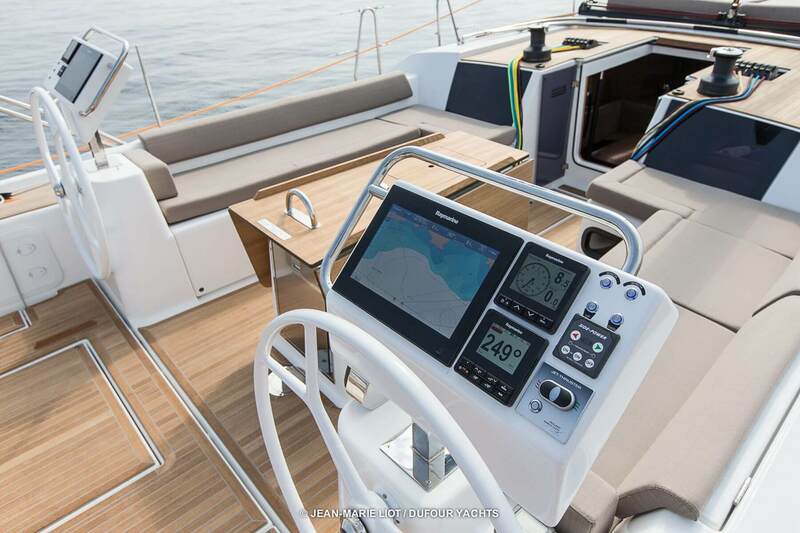 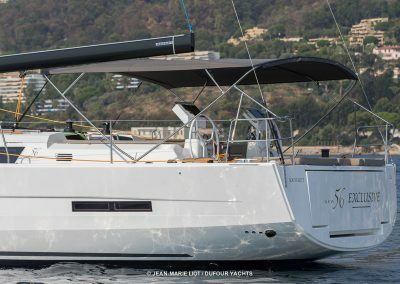 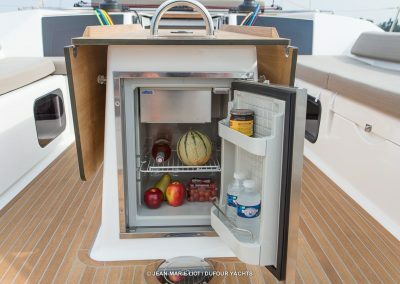 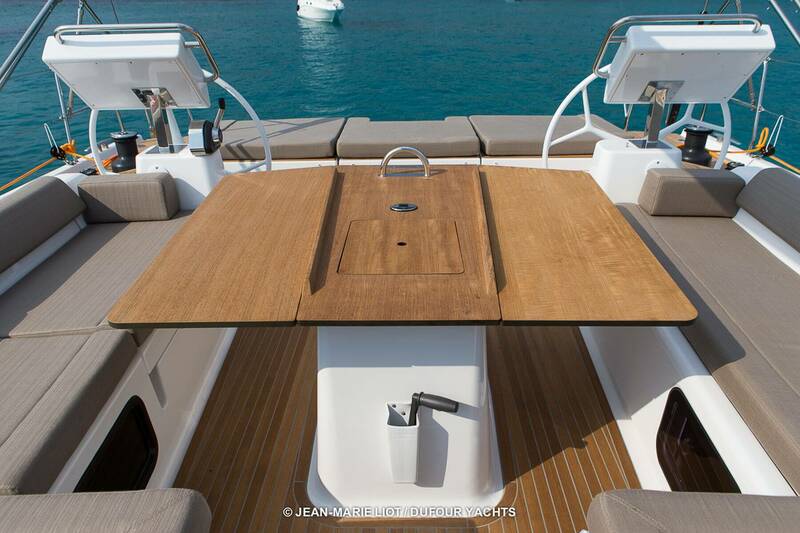 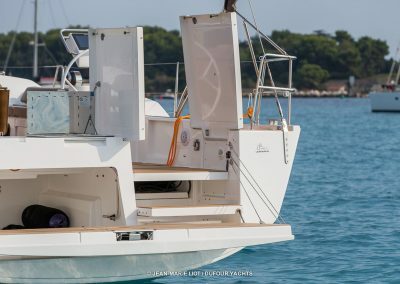 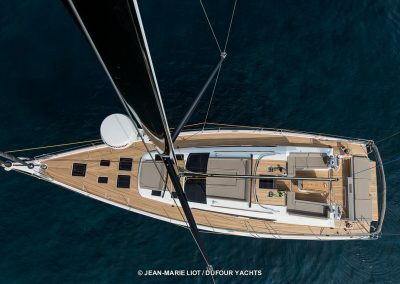 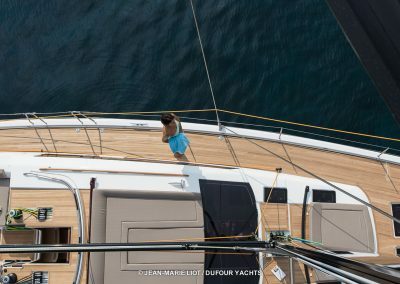 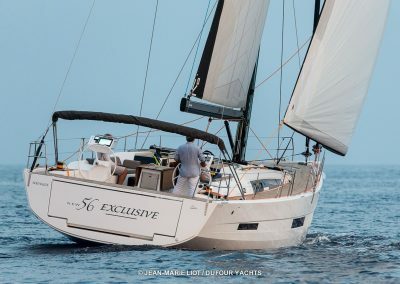 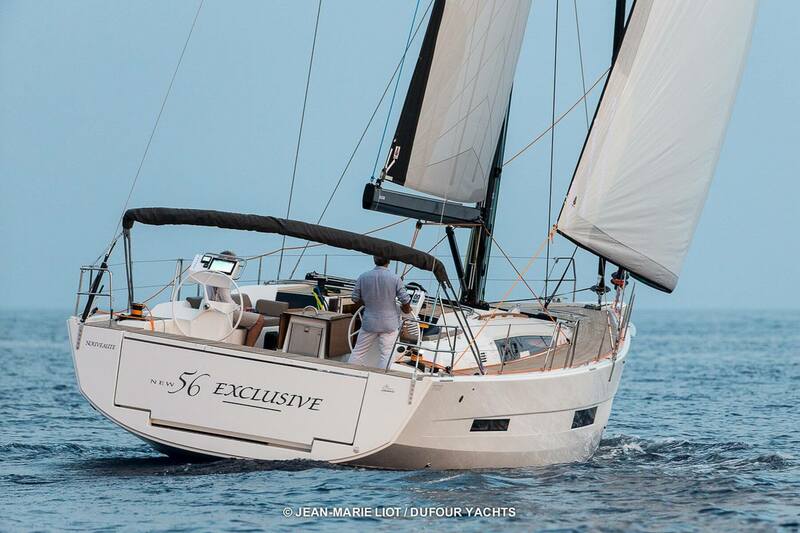 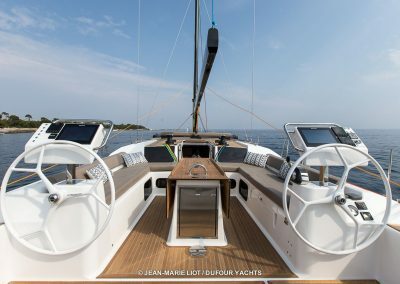 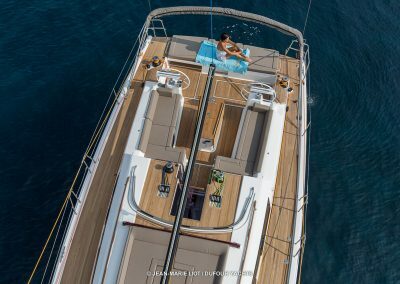 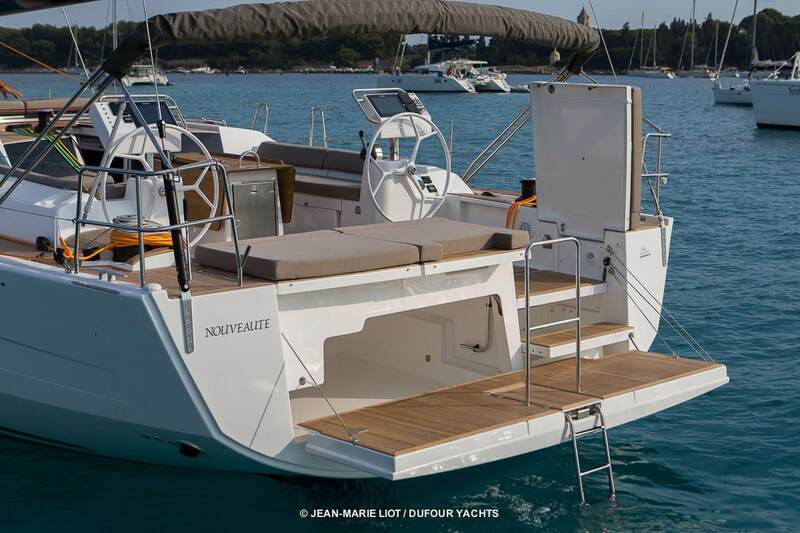 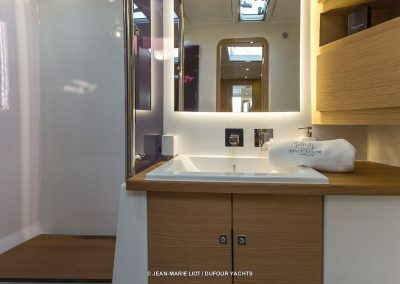 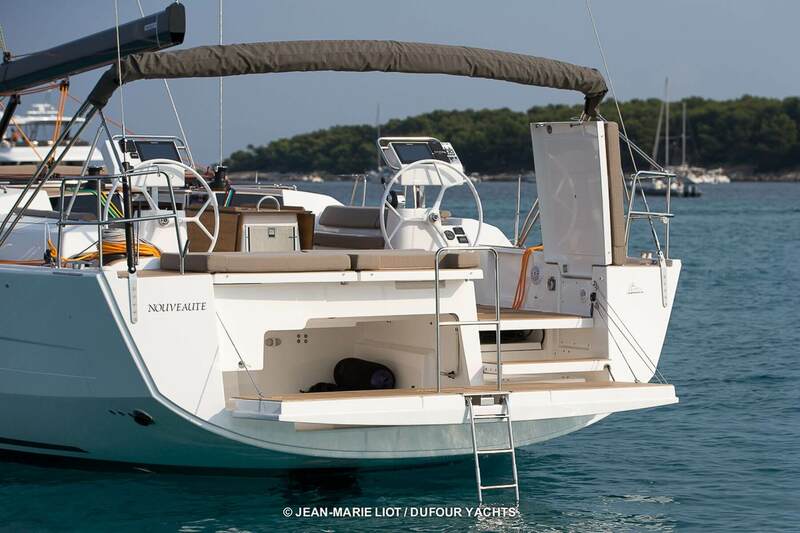 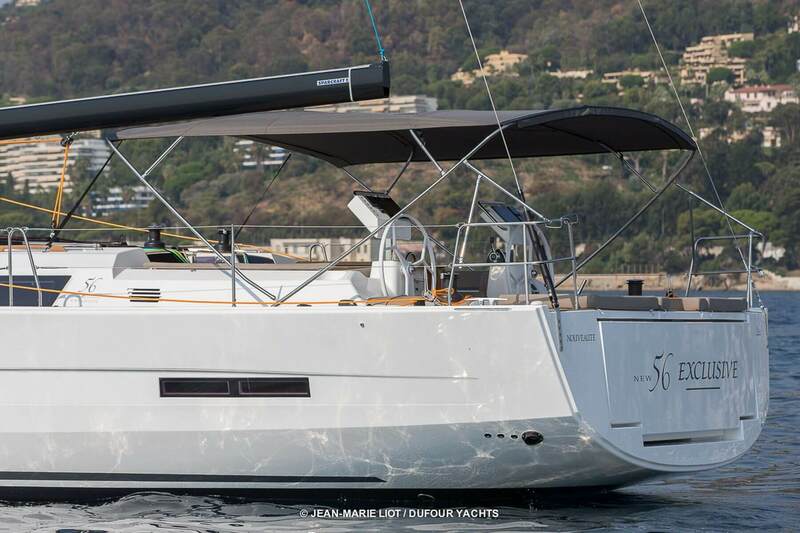 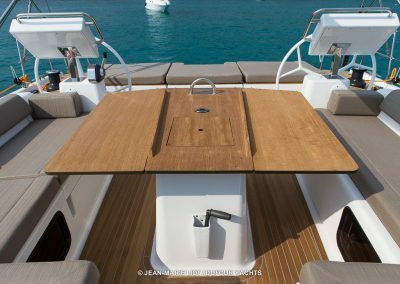 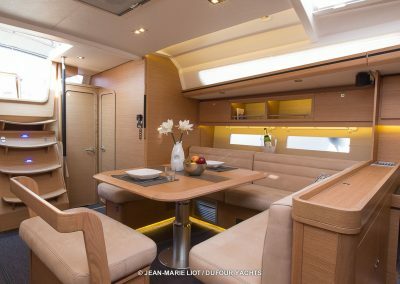 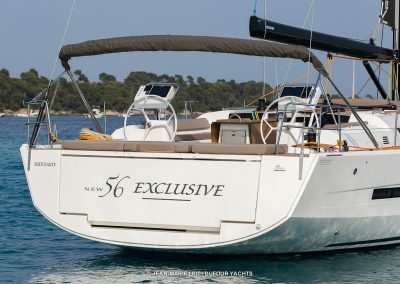 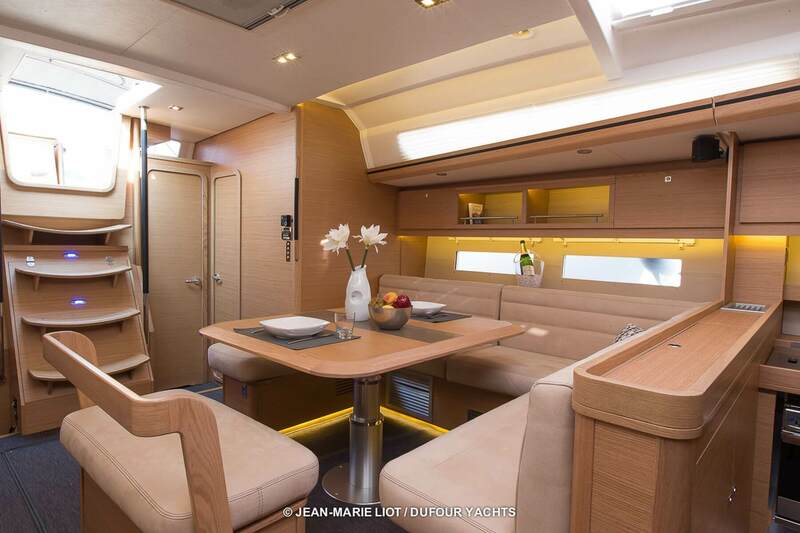 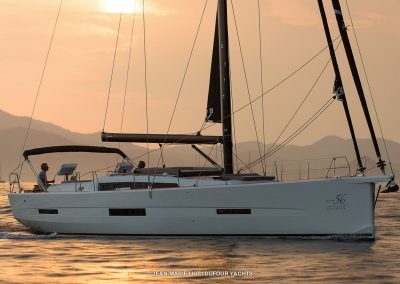 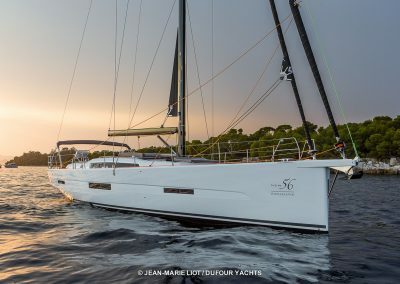 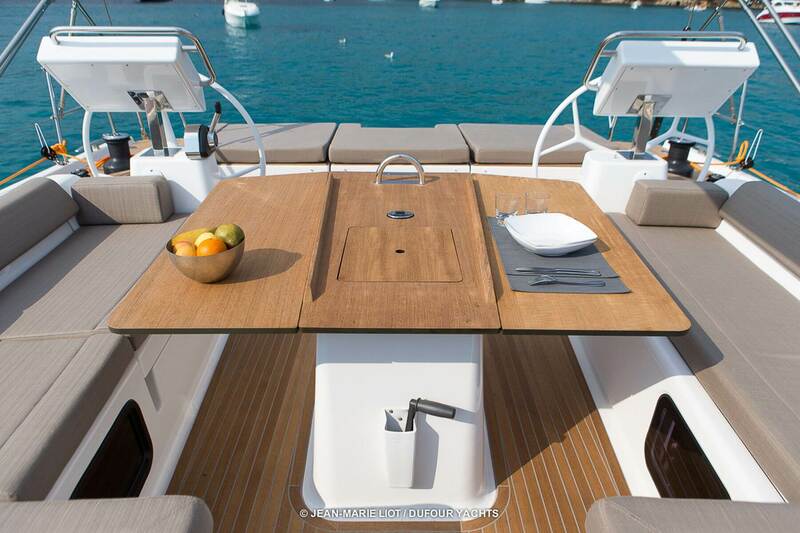 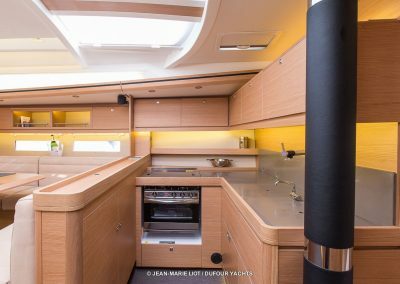 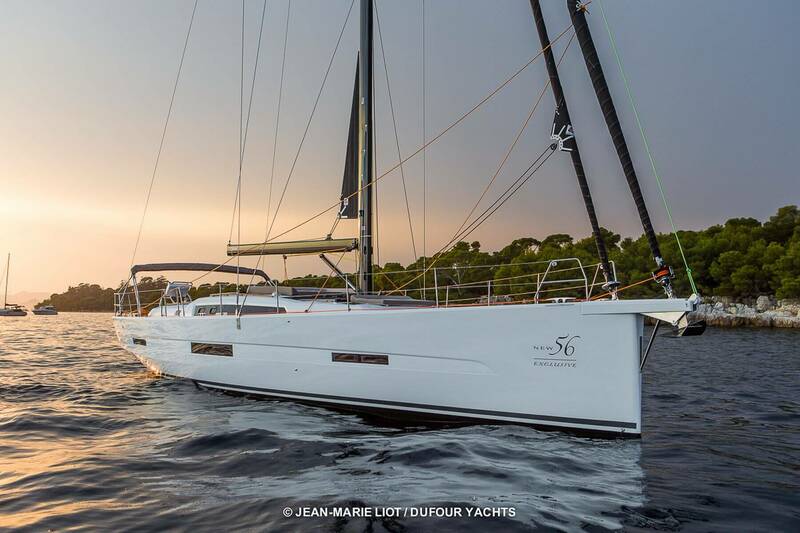 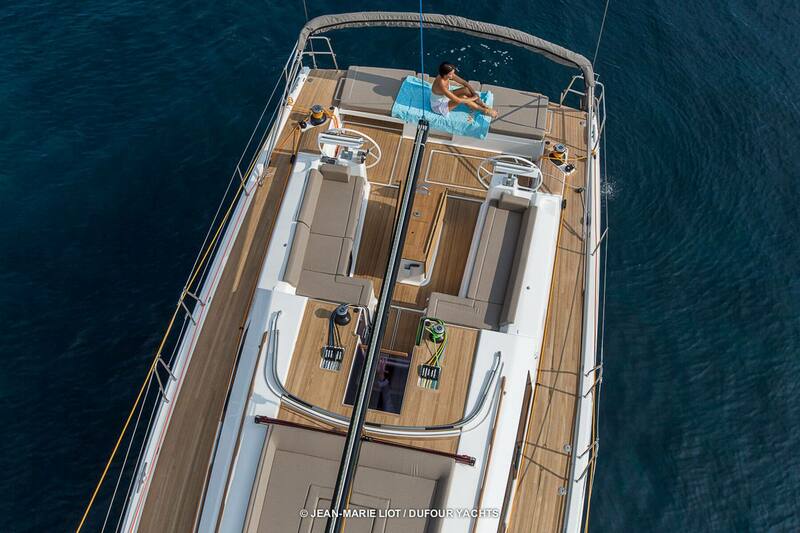 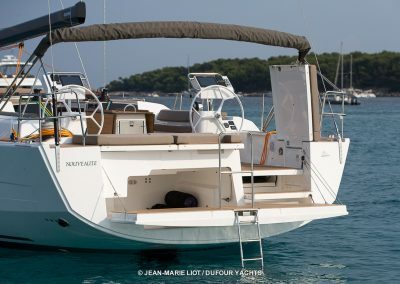 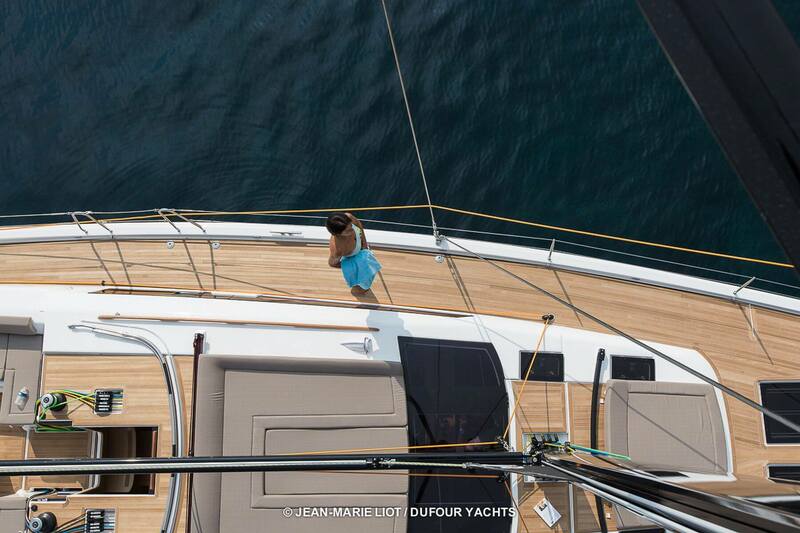 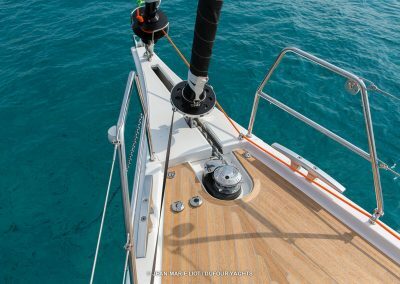 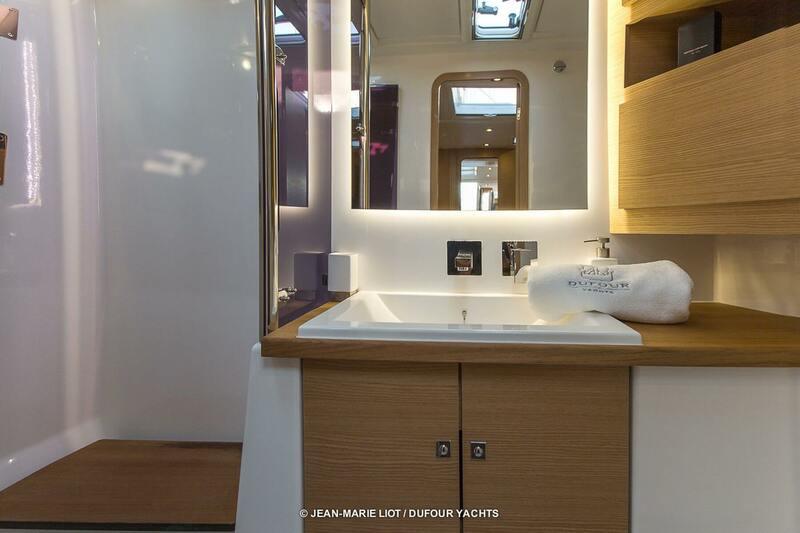 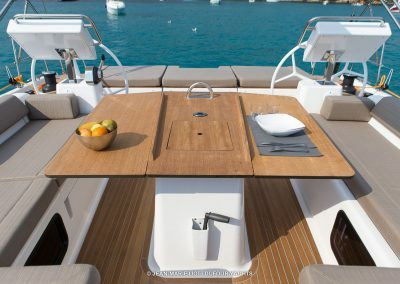 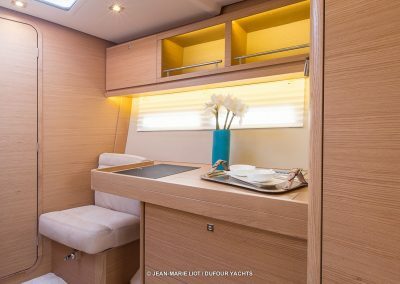 On board, the Dufour Exclusive 56 offers all the comfort and luxury features of a yacht, whilst providing everything a sailing enthusiast would need. 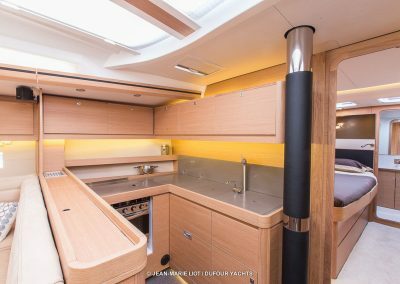 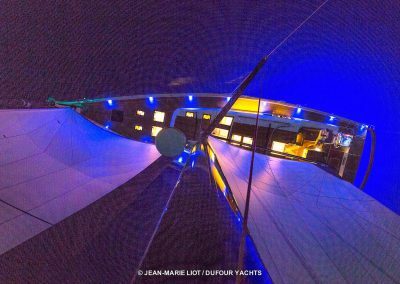 Its fluid lines, elegant vertical portholes, horizontal windscreen and rounded edges make this 55-foot sailboat aesthetically striking. 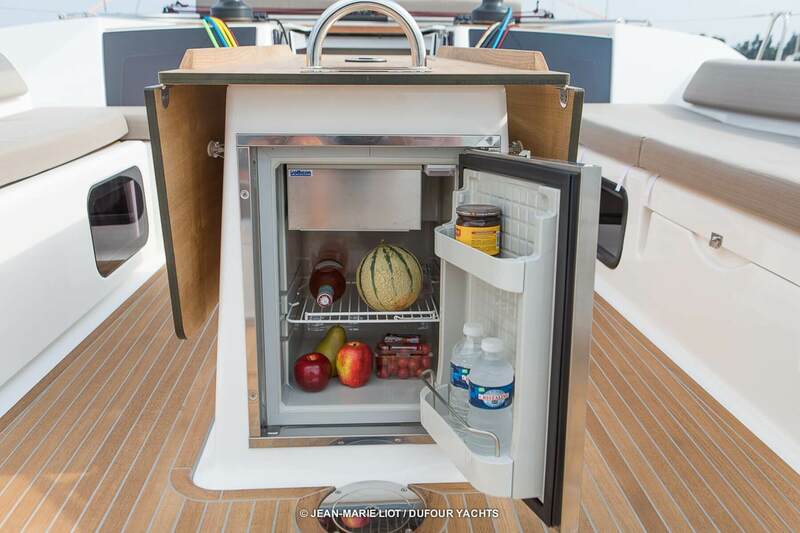 It is distinguishable by its meticulous craftsmanship and ultra practical design features. 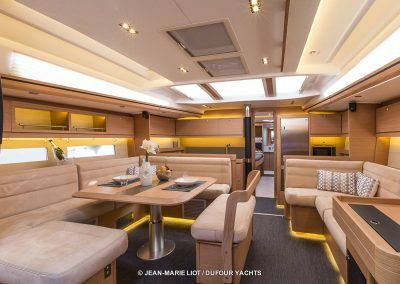 The end result is a unique interior created around a stunning living space.